Two weeks ago, the Pebble team released their new SDK that allows for developers to build 2-way communication into apps so that interacting with your smartwatch is no longer a one-sided affair. 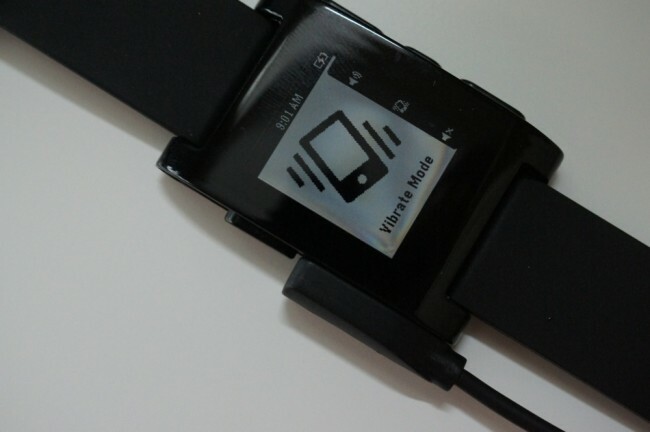 One of the first to utilize this new power is an app called Pebble Ringer. Once installed on both your phone and then your Pebble watch, the app can change your smartphone’s ringer from silent to vibrate to ring. That’s really all it does, but you can see through a simple app such as this, how important 2-way communication between your smartphone and Pebble can be. You no longer have to pull your phone out of your pocket to silence or set it to vibrate – you can do it all from the watch.